Check out this podcast on this topic! Therefore, Christians agree with this idea expressed in the Book of Mormon. The one true God has always been God – from all eternity to all eternity; from everlasting to everlasting. But modern day Mormonism does not agree with Moroni 8:18 or Psalm 90:2. 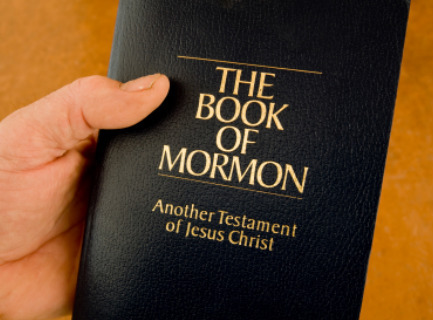 While professing to believe both the Bible and the Book of Mormon, Mormonism actually espouses something quite different about God. Joseph Smith refuted Moroni 8:18. In other words, he sought to prove that the “unchangeable” God that Mormons believed in, the God who was “God from all eternity,” was in fact not “unchangeable from all eternity to all eternity.” And by insisting that this post-Book of Mormon doctrine of God was true, he disproved (refuted) the Book of Mormon itself. Christians strongly disagree with Mormonism and view it as a non-Christian religion, yet we agree with Moroni 8:18 insofar as it agrees with the Bible. But Mormonism, the religion that professes the Book of Mormon as scripture, disregards this verse and promotes a different god. Knowing the only true God is crucial. If Mormons hope for a blessed eternal life, they must know the only true God. They must embrace the truth of the unchangeable, eternal God taught in Moroni 8:18 and Psalm 90:2. Today, August 18th (8/18), please join us in agreeing with Moroni 8:18 and Psalm 90:2. May you know the only true God – the God who was and is and is to come (Revelation 4:8).